This webinar took place on May 23, 2018. The following webinar agenda will help organizations with starting to plan the steps to launching a mentoring program that uses technology to empower and support women. 2. Women Leaders – Why Is Mentoring Working? 3. What elements need to be considered in a mentoring program that focuses on women in leadership? Simply fill out the form on the right and you will be given access to the on-demand webinar. 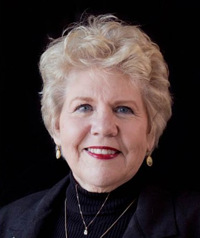 Judy has over 29 years of experience providing customized human resources consulting services to medium to large organizations. Specifically in the area of mentoring, during the last twenty-four years, she has designed and delivered mentoring workshops, mentor and mentee training, a complete mentoring methodology - Hi-Impact Mentoring® - in both handbook and online versions, various focused and subject tailored mentoring solutions, and published a range of mentoring articles. In addition, she has been a speaker at various conferences and organizational functions, and has delivered the comprehensive Hi-Impact Mentoring® process within varied industries for many Fortune 1000 organizations.